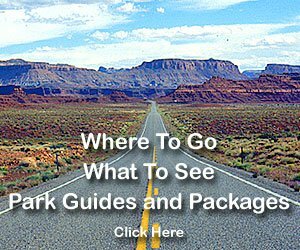 Resident in North America from Alaska and Canada south through western United States to Baja California and Nicaragua. Found along the eastern United States from Canada to northern Georgia. The largest member of the crow family, ravens average 24 inches tall, with a wingspan of 46-56 inches. Their coloration is all-black with a metallic shine of purple or violet that is noticeable in certain lighting conditions. The bill is large and stout. 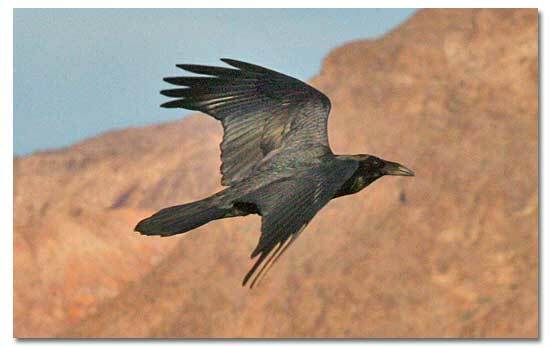 In flight, the tail appears wedge-shaped, which distinguishes it from crows. The common raven's scientific name, Corvus corax, means " raven croaker." Noted for their calls, Bernd Heinrich writes in "Ravens in Winter" how many researchers have studied ravens and their vocalizations. One observation that was consistent throughout the findings is that ravens have a wide repertoire of vocalizations. These sounds, though, vary greatly from area to area. One bird's quork was another bird's kra, and was another's caw. The researcher's correlated raven behavior with the calls, as well. These activities were then lumped into categories, nestling's kaah for hunger, antagonist kaaa for defense, quork for territorial advertisement. But what the researchers also found while reviewing the sonograms of each other's work, was that they, the researchers, often found little common ground. One's "flight call" was another's "territorial advertisement". Ravens have a wedge-shaped tail, distinguishing them from crows, which have a fan-shaped tail. The raven is often confused with its close relative, the crow, but there are major differences between the two species that are apparent when crows and ravens are seen together. Ravens are more solitary than crows, which will often assemble in large flocks. Ravens eat rodents, insects, grain, fruit, bird eggs and refuse. They consume much carrion, especially in winter and will even prey upon sick and injured animals. A raven is every bit as alert as a crow and possesses sharp eyesight and hearing. Ravens are considered among the most intelligent of all birds; like crows, they can learn to imitate a variety of sounds, including the human voice. In nature, their calls include guttural croaks, gurgling noises, and a sharp, metallic "tock". Ravens are strong fliers that can hover in place like American kestrels or soar like a hawk. They may fly like stunt pilots at times, doing partial barrel-rolls in flight. The birds may form large flocks of over several hundred individuals during their autumnal migration. Found in a variety of habitats, from treeless tundra to coastal sea banks, rocky cliffs, mountain forests, desert canyons, to open plains. Ravens are scavengers. When approaching dead animals, often the raven will land a short distance away, then hop forward or sideways to the carcass. Often seen in the company of magpies, eagles, vultures or seagulls (where appropriate), ravens will eat just about anything that is dead, but they will also hunt for mice, lizards, small birds, snakes, insects, and berries. The birds nest in a variety of locations. 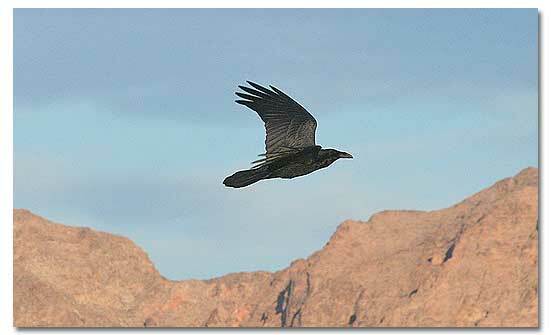 In southern Utah, ravens build large stick nests in a variety of locations, depending upon their nesting territory. 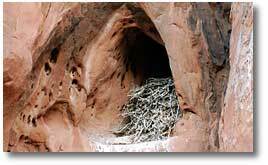 Many nest sites are in alcoves or large fractures in cliff walls, or on protected ledges that are well shaded. But I've also observed nests built in small shrubs, on bridge underpasses, on telephone poles and on signposts along railroads. Wherever there is a suitable platform to build a nest, that is a potential raven nesting area. Ravens build a large, bulky nest of stout sticks and line the center with bark, hair, fur, grasses or even plastic bags. The birds lay 3-7 turquoise colored eggs that are blotched with brown. Mostly, the female incubates the eggs, while the male feeds her at the nest site. The eggs hatch in 18-20 days, and the young leave the nest (fledge) at 35-42 days old. Once while I was recording raven calls for a wildlife documentary ("The Living Edens Series"), I watched an adult raven try to dislodge my microphone from its spot high up in a pinyon tree. The raven flew over to the top of the tree and started to croak and pound its bill on the dead limbs in the tree. When this didn't work, the adult hopped onto another limb, broke off a twig and dropped it like a bomb onto the microphone. No. of Eggs: 3-7 avg. Many cultures have regarded the raven as an omen of death, pestilence and disease. The raven is the largest member of the crow family. The raven has a large, complex and varied vocabularty. Ravens consume carrion and will even prey upon sick and injured animals. Male ravens are larger than females. Perhaps Edgar Allan Poe may have had the best definition for these birds, "Though the birds have a wide variety of sounds and calls they may not be willing to divulge their secrets to us." Quote the raven? Aaarrck!